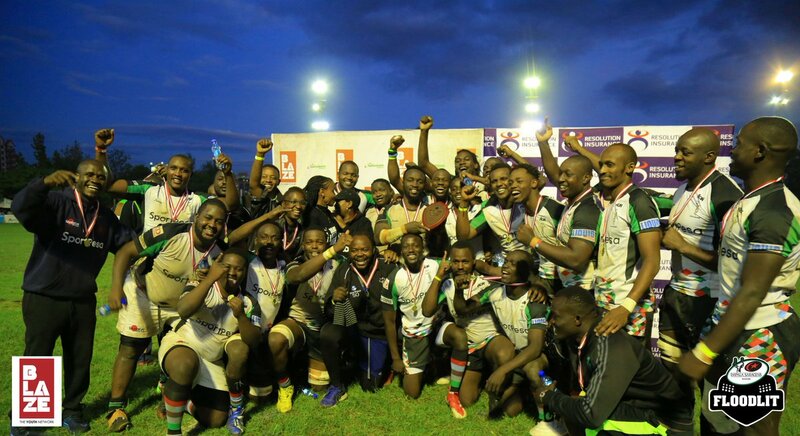 Champions KCB and Kenya Harlequin bounced back to winning ways on matchday 3 of the 2018/19 Kenya Cup beating Mwamba and Homeboyz respectively. KCB beat Mwamba 33-13 while Quins saw off Homeboyz 35-15 at RFUEA Grounds. As KCB bounced back from last week’s defeat to Nondies and Quins from the loss to Menengai Oilers, things are not looking good for Mwamba who have now lost three matches in a row. Returning Kenya Simbas internationals Jacob Ojee and Andrew Amonde were on target for KCB with Tony Onyango scoring on his debut. Tony Omondi and Michael Wanjala also went over as the bankers bagged a bonus win. KCB led 26-3 at the interval with Deus Mudaki scoring early in the second half for Kulabu. Kenya 7s half-back Ronnie Omondi would land Mwamba’s second when KCB were down to 13 players. Up at Ngong road, Alex Olaba scored a hattrick to hand Homeboyz a second defeat of the campaign. Half-backs Jasper Onen and Aaron Ofoywroth(2), Aluda Beda also scored for Quins with Mark Ongayo(2) scoring for Homeboyz. Matchday 4 will see Quins host KCB, Homeboyz head to Menengai Oilers and Mwamba host high-flying Nondies.